Unlike concrete, welded or in-ground shelters, our modular design and in-shelter wrenches give you multiple emergency exits. Find the Right Storm Shelter for You! 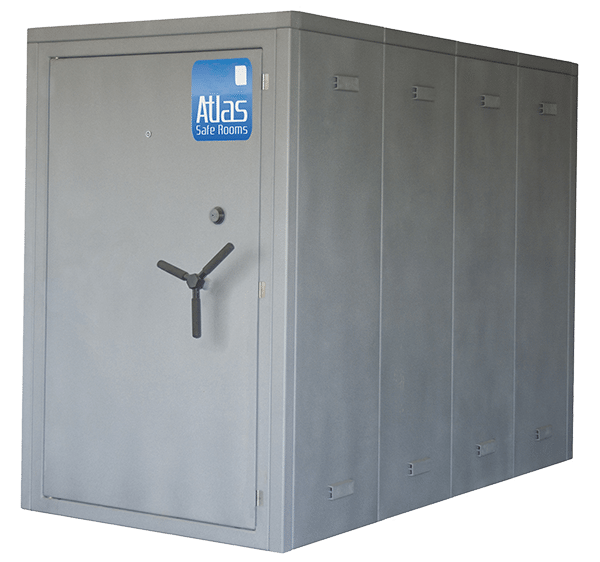 Atlas Safe Rooms is the strongest choice for Storm Shelters and Safe Rooms. 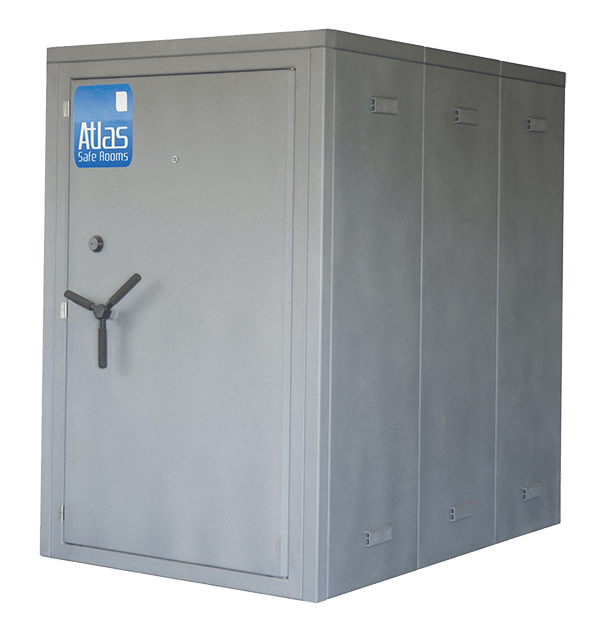 We manufacture and install modular above ground storm shelters and safe rooms. We are based in Joplin, Missouri, which means we know firsthand how critical it is to have a safe and trusted place to go for shelter during a tornado or other severe weather. 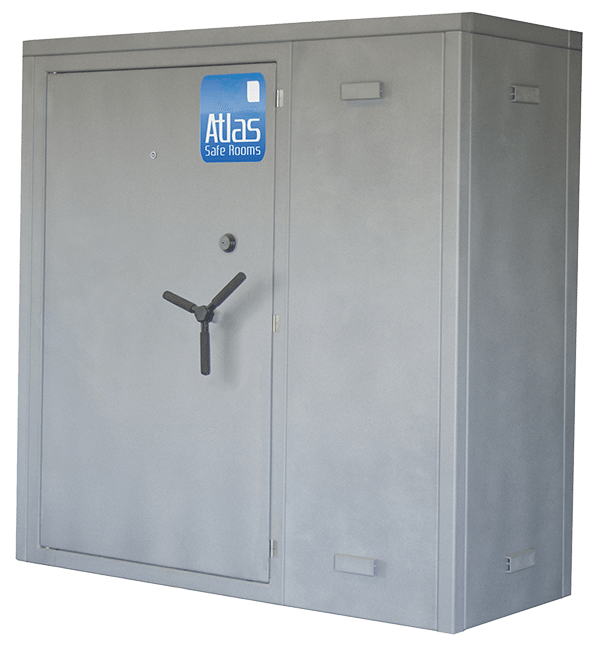 Given our extensive steel manufacturing experience, we set out to design an above ground tornado shelter that is substantially stronger and better built than what is currently available on the market, but still affordable. Our shelters are designed with every type of home and business in mind. Each storm shelter is modular by design, which is just one of the many features of our shelters. 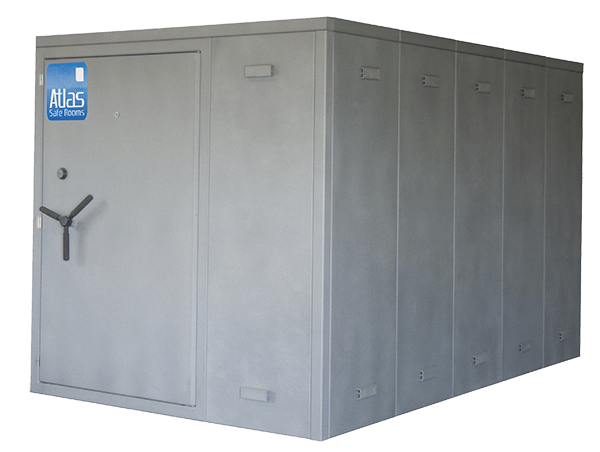 Our goal is to have a storm shelter in every home or business, so you have the peace of mind that you and your family are safe during a tornado or severe weather. We also manufacture custom storm shelters for businesses, for those companies that choose to keep their employees safe. Typically our safe rooms are used predominantly as a storm shelter. 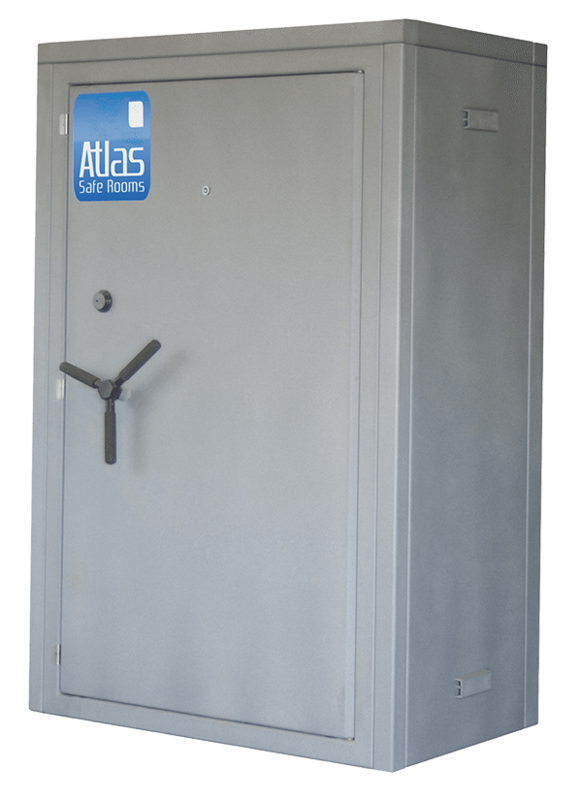 We have installed our products as safe rooms, either as a panic room or as a place to secure guns, ammunition, and important documents. Most importantly, it is capable of being installed in almost any existing home as well as in new construction.  This includes any size business as well. We use all precision steel construction (7 gauge thick steel) and can be anchored to any substantial existing garage concrete slab, basement slab, or even outdoor slab. If you’re not sure, we would be happy to come out to your location and check the depth and strength of what you already have in place, you can either call us at (800) 781-0112, contact us using our contact us page, or schedule a free visit online.  Atlas Safe Rooms is a proud member of the ATSA, American Tornado Shelter Association, which is an organization that helps regulate storm shelter companies and ensuring they are producing and installing quality tornado safe shelters. Our storm shelters have been tested and approved by Texas Tech University Wind Engineering at speeds similar to an EF-5 tornado. Each one of our safe rooms exceed all of FEMA Standards. We have fully staffed showrooms displaying each storm shelter in Joplin, MO, Tulsa, OK, and 2 locations in the Oklahoma City, OK areas (Norman, OK and Edmond, OK). If you need financing, we have excellent financing partners. 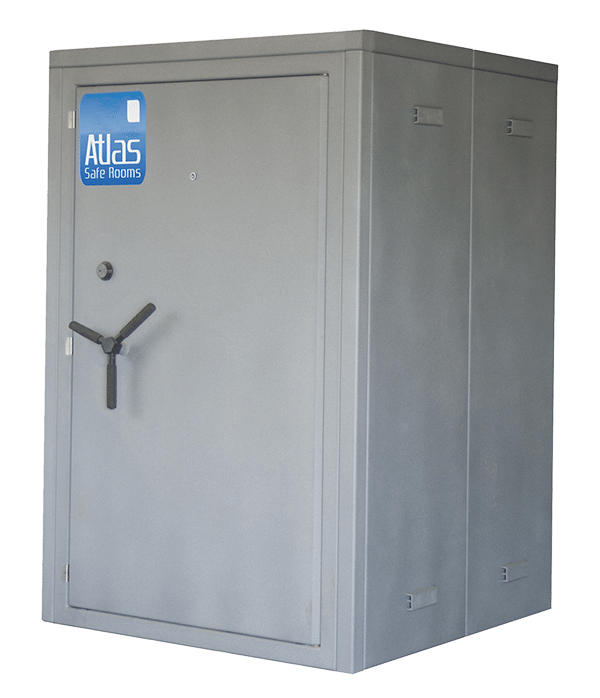 In the four-state area, Atlas Safe Rooms recommends Joplin Metro Credit Union and Oklahoma Central Credit Union for financing the purchase of your storm shelter.